I have been going to Ashley for 3 years now for my son's photo shoots. She always does an amazing job. She helps pick up beautiful locations for the photo shoot, picks best time of the day and makes it an easy and fun experience... I would recommend her to my friends and family. I can't even begin to express what an outstanding job Ashley did with my daughter's first birthday shoot. She was very sweet from the very beginning, and gave excellent suggestions as to what locations would benefit from the lighting. I appreciate that she went above and beyond and decorated the props according to the theme I envisioned for the shoot. Most importantly, I appreciate her patience. She understood the stress I was going through to get my daughter to sit still and not eat rocks and dirt for at least 3 seconds lol, at the end of the shoot, she made sure I was at ease and assured me that she had gotten some awesome shots and showed them to me. My husband and I are very pleased with the final product. Thank you so much!!! We are so glad we booked a family portrait session with Ashley Becker Photography. Not only did she choose a gorgeous outdoor setting with some amazing light, but she made us and our kids feel totally at ease (not always easy with a baby and a 7 year old boy). We walked away with some beautiful photos, a great experience, and not one meltdown! Thank you Ashley! Thank you, Ashley Becker Photography! This photo session was a delight. You made the whole family comfortable from the very beginning. I thought each personality shined through in the shots you captured. From preparation ahead of the photo shoot, through the whole session, and afterwards, you were professional and had great communication with us. Thank you for giving us some beautiful shots to treasure for years to come. We'll be back for more in the future! I wanted to take a moment to express my admiration and respect for the beautiful photography and talent of Ashley Becker. Her eye for light and composition is a true art that she masters. Her calming approach to her clientele is comforting and a delightful experience. Her finished photos are true art work that captures the essence of the moment. 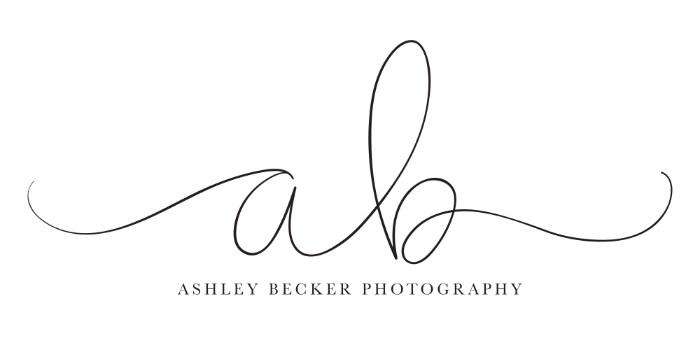 There is no higher praise or recommendation I could give someone than the use of Ashley Becker Photography. Thank you so much for the maternity and newborn sessions. Thank you for your patience with us and for your willingness to do extra sessions to make sure we got all that we wanted. Thank you for beautifully capturing this time in our lives/family. We absolutely LOVE our family photos! Even with such a rambunctious toddler, who would not sit still, you were able to capture some amazing photos, capturing our sons personality perfectly! Thank you again! I have always done milestone and family pictures at companies in malls but our schedules are all over the place, it just wasn't working for us. I reached out to Ashley Becker to see if she could accommodate something for us. She was extremely flexible and very enthusiastic about locations and props. We decided to go with her for our sons 2nd Birthday and we are so glad we did. She was amazing and very patient with him. He is highly energetic and could not stay still however, she handled him very well and took some of the most amazing pictures! We look forward to doing business with her in the future. I met Ashley through her dad back in December of 2011. We booked her for both our engagement and wedding sessions after one of the local photographers flaked on us. After our engagement photo session, Ashley and I quickly became really good friends. She is an outstanding photographer who works well with people and knows how to make her clients feel comfortable. Especially people like myself and my husband who are camera shy! I don’t think my husband and I have ever met a person who owns a business be so caring and as genuine as Ashley. Not only is she a fantastic photographer, she’s also a wonderful person who cares about her work and her clients…not the money. Thank you Ashley, for making our engagement and wedding photo session experience a very memorable one! We are forever in grateful! Ashley does a great job and is very passionate about her work. We worked with Ashley for our maternity pics and newborn pics and she takes the time to capture every perfect moment. She has lots of patience, creative ideas, talent and knowledge. She is also personable and friendly. I love all of her pics and can't wait to see all of my newborn baby's pictures :) thanks Ashley for creating endless and memorable pictures for a lifetime! Ashley has done alot of pictures of my daughter. She has done her senior pictures which turned out beautifly. She has also done pictures just for fun, and they always turn out so good and really interesting. The way Ashley trys new lighting and different things to make your pictures better is just fantastic. She is not like other photographers. She has her own style and technique that works in her favor. All the pictures she has done are beautiful and totally one of a kind. Love the work that Ashley did for us. She came to our home and she was very patient with my husband and myself. She did some shots of us in our back yard and also took us down to the country club and golf course where we live. We were so happy with our pictures that she did. We also got our pictures back in a timely manner. Alot of our friends and family like our pictures! Thank you so much! We just received our family photos in the mail today and couldn't be happier! We are so glad we chose Ashley to be our family photographer. She is patient and so easy to work with. She also came to our house and allowed us to do inside and outside shots, which was great. The images we received on disc are exactly what we had in mind and we are pleased with the quality of work. Thanks so much, Ashley! Ashley Becker Photography did a wonderful job with our Valentine photos. So professional and welcoming. Great environment and tender kindness to our family. Return customers for sure! Great turnaround on our photos. This girl is AMAZING! We got super cute Valentine kissing booth photos taken. The set up was for kids and it was just my husband and Myself. I presented the idea to her feeling a little silly and she made me feel very comfortable, excited! The photos she took were in a child size setting and you'd never know it. She was very in tune to our personalities and gave us photos that make people say... Who took those? We will always be loyal Ashley Becker clients! Ashley is a wonderful Photographer! She is very flexible and worked with my husband and I so well! I have never seen more beautiful pictures! She is a fantastic person and very sweet! On time and has a beautiful talent, Photography is her passion and totally her calling! She will be my family photographer forever! Can't wait I see what the future holds!